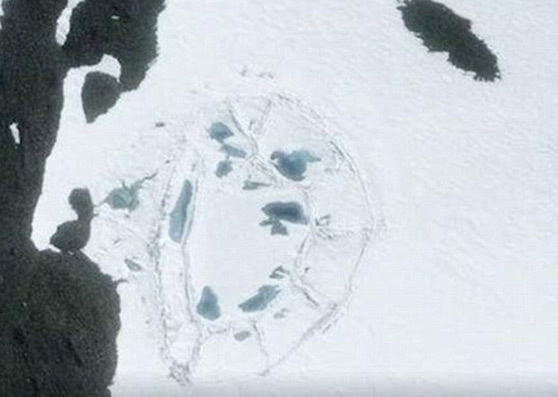 Part 2: What Ancient Archaeology IS in Antarctica? “Who tampers with Google maps once an image with lat/long are given in a public web forum or news media about a subject as apparently sensitive to government intelligence agencies as the alien presence of ancient archaeological structures and artifacts in Antarctica?" “Staircase” about 200 miles west from Shackleton Coast, East Antarctica. 2012 Google Earth image. 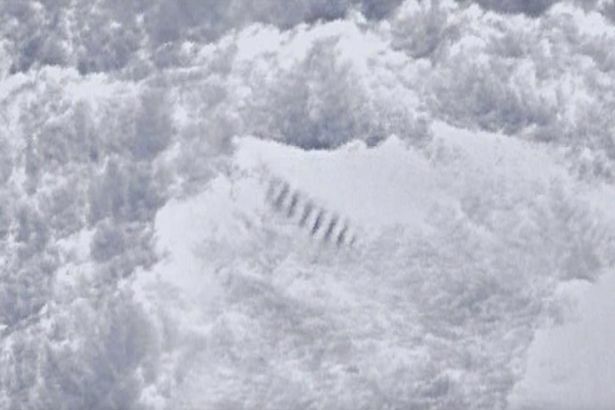 February 26, 2018 Albuquerque, New Mexico - A year ago in January 2017, the Google Earth image directly below — that was allegedly first found in 2012 in Eastern Antarctica — began to make the media rounds under headlines asking, “Is There A Lost City in Antarctica?” The latitude and longitude given below this faceted feature's image when searched on Google Earth in February 2018 are blurred out white without any Google explanation. The estimated longest length reported in January 2017 was 400 feet (121 m), which is longer than a football field. Previous PostPrevious Why Is Our Universe Expanding Faster Than Expected?